An immediate release capsule for pharmaceutical products in HPMC-only, without gelling agents. Capsugel® Vcaps® Plus capsules offer excellent dissolution profile with pH-independent performance, low moisture content, great machinability and visual quality. Polymer science and engineering have opened a new era of functional development, which offers the potential for selecting the right capsule for different APIs. Capsugel® Vcaps® Plus capsules represent a unique and valuable contribution—they dissolve quickly and predictably at different pH levels and are independent of cations or other food components. Under these conditions, they perform like gelatin. They also offer additional advantages, particularly a lower moisture content, which makes them suitable for hygroscopic and moisture-sensitive drugs and manufacturing processes. Because of the low moisture sensitivity, you have a range of storage options with less chance for brittleness or breakage. HPMC capsules are inert and robust against cross-linking or the effects of extreme storage conditions. They show excellent mechanical properties for manufacturing and come from a renewable, plant-based resource that’s accepted by the global regulatory community. Capsugel® Vcaps® Plus capsules have the appearance and performance of gelatin while providing important new options to scientists around the world. 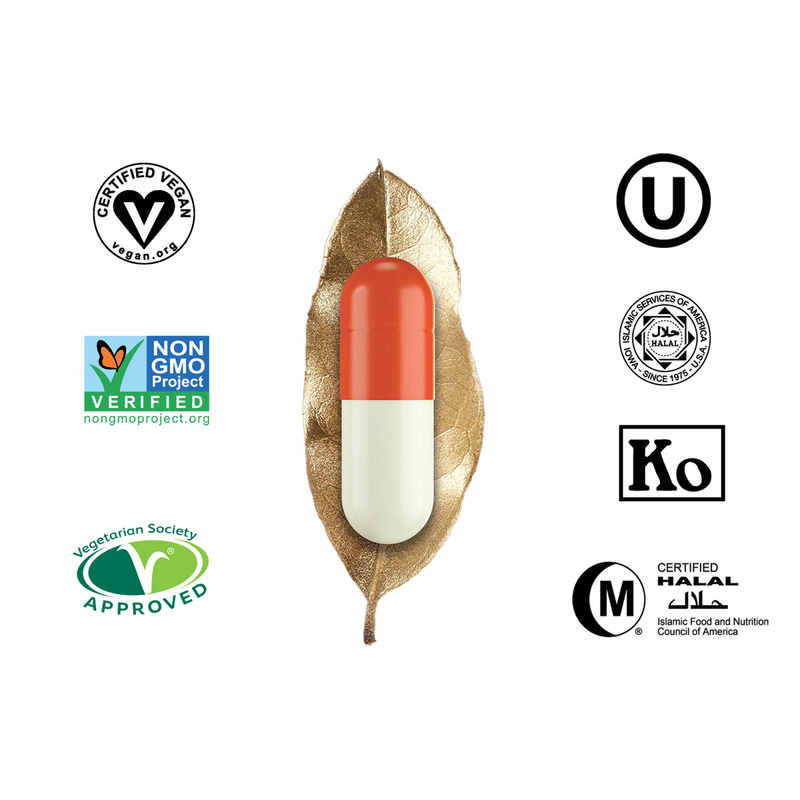 Capsugel® Vcaps® Plus capsules are approved by the Vegetarian Society, non-GMO Project verified and are Kosher and Halal certified addressing important requirements for patients and consumers alike. That is because Capsugel® Vcaps® Plus capsules are manufactured in accordance with IPEC’s (International Pharmaceutical Excipient Council) Good Manufacturing Practice (GMP) Guide for Bulk Pharmaceutical Excipients, in facilities which are ISO 9001 certified. Their gelatin-like appearance and shiny surface help to reinforce the commonly held consumer attitude that capsules are easy to swallow (1). Capsugel® Vcaps® Plus capsules have lower weight variations than first generation HPMC capsules and a weight-range profile that more closely mimics that of a gelatin capsule. Electron micrographs of Capsugel® Vcaps® Plus capsules show that they have a smooth and even surface, which suggest higher quality performance in manufacturing (2). They have been thoroughly tested on a variety of high-speed capsule filling machines and demonstrate excellent performance with fewer than 0.01% rejects. In a recent review of more than 30 filling operations across a range of intermittent motion, continuous motion and semi-automatic machines, the Capsugel® Vcaps® Plus capsules had an average yield rate of 99.86%, with a range from 99.782% to 100.0%. Secondary gelling agents and ionic gel promoters – used by some other HPMC capsules – may slow down release of active ingredients. Capsugel's® Vcaps® Plus capsules are made through a proprietary manufacturing process that eliminates the need for gelling systems. They disintegrate and release their contents independent of pH and ionic strength of the test media. Why Choose Capsugel® Vcaps® Plus Capsules? Interested in learning more about Capsugel® Vcaps® Plus Capsules? Capsugel® Vcaps® Plus capsules represent a unique and valuable contribution: they perform like gelatin but offer additional advantages, particularly a lower moisture content, which makes them excellent for hygroscopic and moisture-sensitive drugs and manufacturing processes. Watch this webinar to learn more about the features and benefits of Capsugel® Vcaps® Plus capsules.